So these are LITERALLY (and I’m very strict about the use of “literally”) the best fitting and cutest yoga pants I have ever put on in my life. Oh, and they are silky soft. I’m completely 100% hooked on this brand, Teeki. Teeki is an eco-conscious activewear line (these pants are made from recycled bottles! 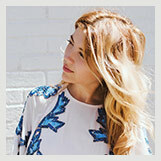 ), all ethically made in the USA. I loved my yoga pants so much that I ended up buying the matching sports bra AND workout top, too; each one is cute as a stand-alone piece, or even worn together if you want to look like the most coordinated person at the gym. On top, I have my vegan leather Herdentier backpack (fun fact: “herdentier” means herd animal) all the way from Germany! But lucky for us, this awesome vegan leather bag line is available to the US via the Herdentier Etsy shop. The price point is amazing (around $50, and super high quality and unique), plus you get to support small biz! Herdentier offers everything from handmade vegan leather clutches to handbags to backpacks… Definitely check them out. Lastly, my t-shirt. 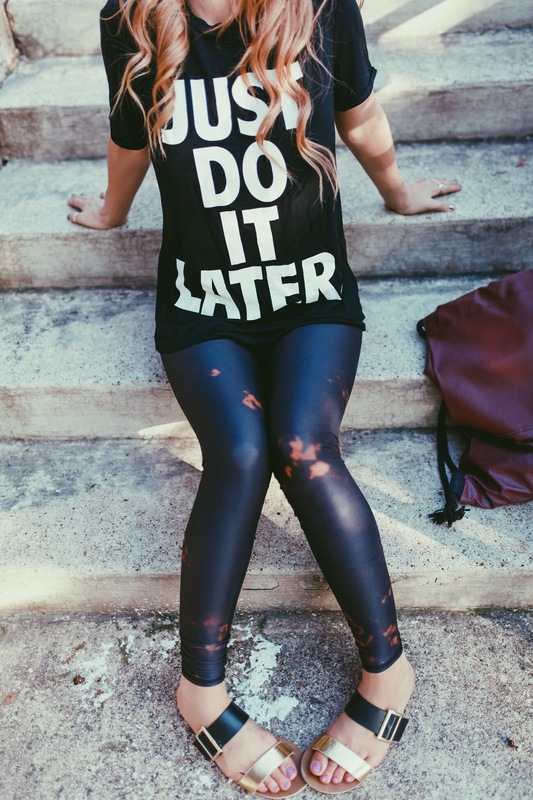 My “Just Do It Later” top is super soft, affordable, oversized and comfy, and also funny… Strangers will definitely smile when the see you, and tell you that they like your shirt, so prepare yourself for that. Perfect for lazy Sunday mornings, or when you are forcing yourself out of bed or off the couch and into the gym (welcome to my life). I hope you like my yoga class- to- running errands look! Its one of my favorite to date. I’m most excited to share the brands Teeki and Herdentier with you, and I want to include some of my other favorite pieces from those companies here for you to peruse below. Let me know what you think! XOX Happy Thursday, y’all… It’s the home stretch!